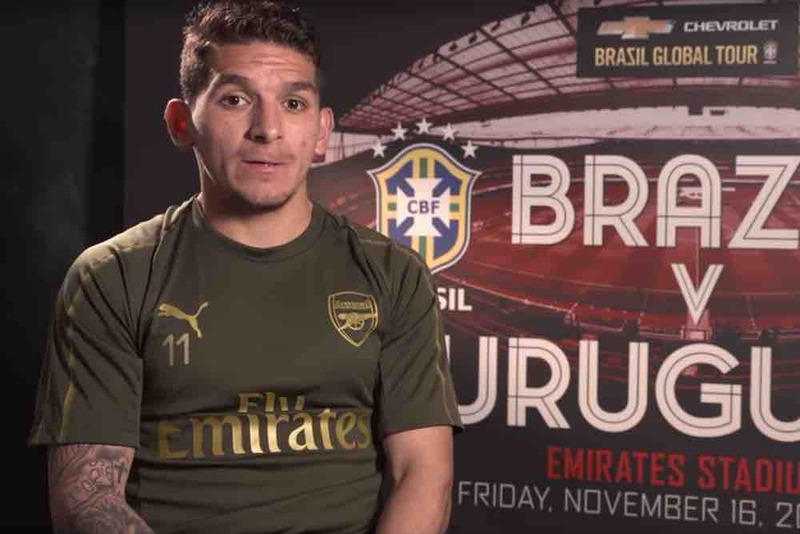 Arsenal midfielder Lucas Torreira will play an international match in his club stadium this week when Uruguay face Brazil at the Emirates Stadium. Torreira and his team-mates face the Selecao in familiar surroundings in a friendly on Friday evening. Ahead of the match, he has given an interview in which he previews the game. Decked out in his Arsenal training gear, Torreira predicted an “awesome game” and indicated Uruguay will be hoping to bounce back from defeats to Japan and South Korea last month. In a tweet, Torreira said he was pleased to have linked up with the national team.